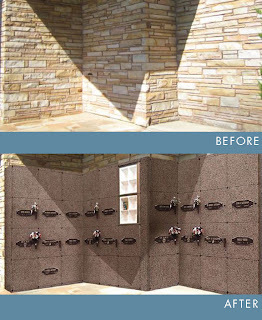 A custom Trigard Niche Wall can transform overlooked nooks into usable space. A Niche Wall can wrap around corners, fit into alcoves and flank doorways. Custom-designed for your unique facility, a Niche Wall will add value to your property and give families a cherished place for cremated remains. Ready to get started? Send us a picture of your space and our team of graphic artists will help you imagine the possibilities with a virtual mock-up. Call 800.637.1992 and ask to speak with our Project Manager.